Warren Davidson was born and raised in Ohio. After high school, he enlisted in the Army where he proudly served for 12 years. Warren won a special election in June of 2016 to fill the remainder of the term of outgoing Rep. John Boehner in Ohio’s 8th District. He was re-elected to his first full term in Congress in November of the same year. In Congress, Warren serves on the prestigious Financial Services Committee, where he is focused on policies that promote economic growth. Join Congressman Warren Davidson, for a live, telephone town hall meeting on March 27th at 7:15pm ET to discuss important issues facing our district and our country. 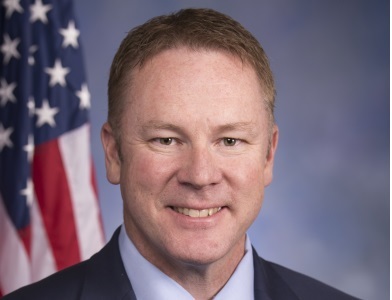 Congressman Davidson wants to hear from you and get your feedback. Please, sign up here to register and receive a call for the Congressman's next telephone townhall - you'll be able to listen in and ask questions from the comfort of your own home!